There are a few things essential to a stylish and serviceable home, and one of them is seating. Household seats offer respite after a long and gruelling day, they impart a sense of comfort and cosiness, along with offering a warmth and security. Choosing seating for the home can be a tricky task, you must consider your décor, design, style, and colour, along with the general aesthetic you are hoping to achieve. 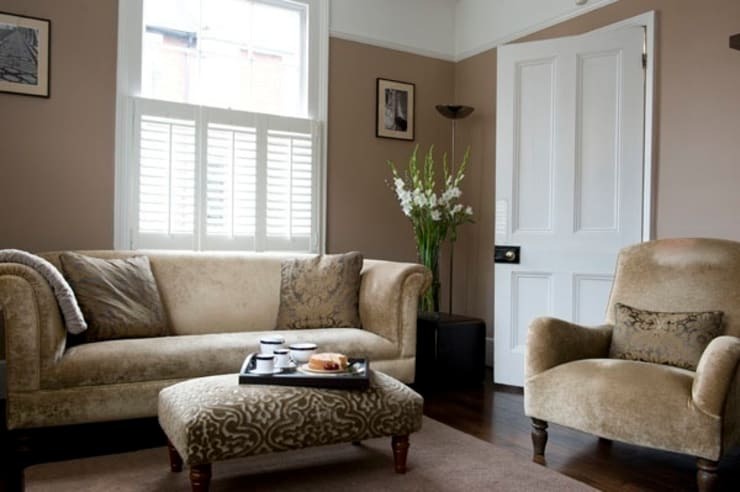 Today on homify we are paying homage to luxury and glamour, from the simple armchair to the large sofa, there is an opulent seating choice for every taste and preference. Whether you have a penchant for heritage furniture with contemporary upholstery, or simply a predilection for simple refined elegance, take a look at the following examples below, and inject a little glamour, glitz, and allure into your domestic space. This pair of glamorous interior seats are beautifully tufted in a lavish dusty blue-grey hue. 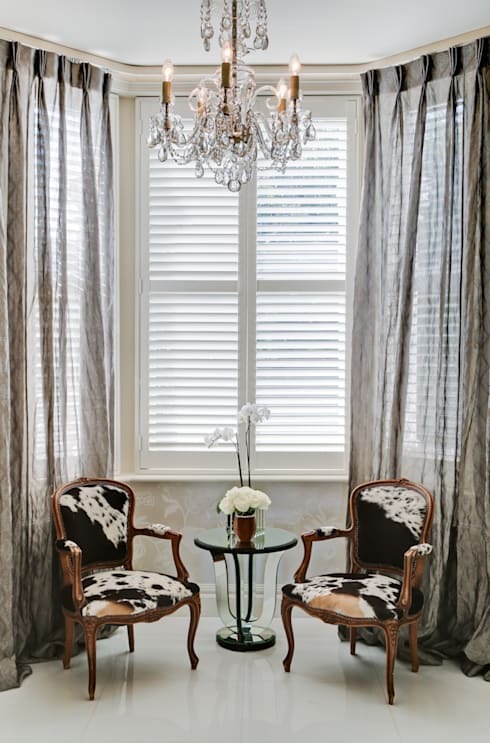 Wonderfully paired with a mustard coloured cowhide rug, this space oozes chic sophistication and lavish style. In addition to the pair of armchairs, there are many other luxurious seats within this space. The dining suite is replete with upholstered white high-backed chairs, and matched with the white set of sofas in the lounge space. Is there anything more classic than the traditional and classic than a chaise longue? 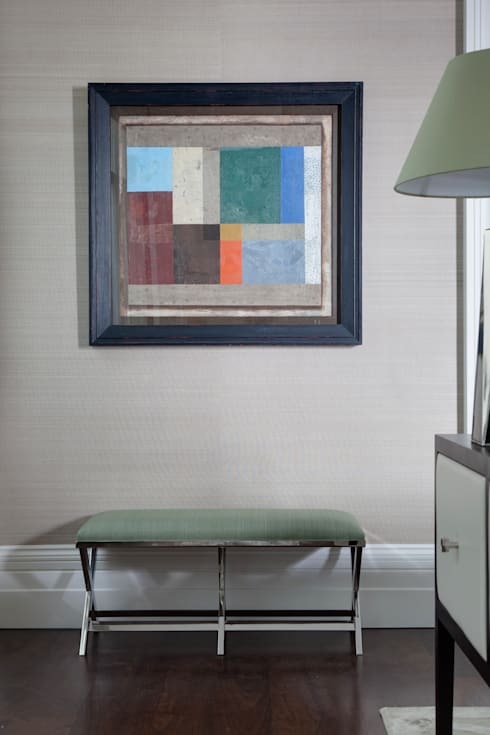 This beautiful example demonstrates the individual power a chaise can have within your interior space. 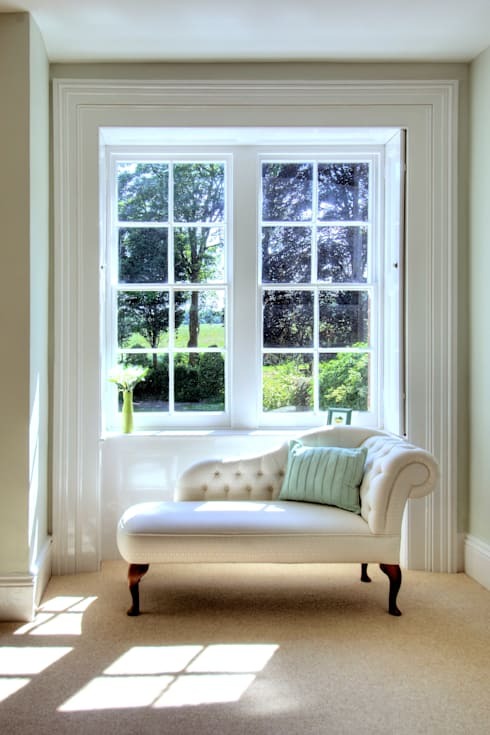 If you are considering a chaise style of seat for your room, ensure you give the chair enough room, and avoid crowding it with other items or furniture. Here we see a classic cream chaise longue in a traditional heritage style coordinated with a white colour scheme and adorned with a simple pastel blue throw pillow. Wild, bold, exciting and full of character, these seats are a brilliant example of glamorous, alluring, and stylish furniture. This statement seating is paired with whimsical curtains and a delightfully extravagant crystal chandelier. These traditional and heritage style armchairs have been reupholstered in a cow print that brilliantly updates their aesthetic and infuses a sense of modernity into the room. When paired with the contrasting mirrored side table, the space is opulently enthralling. Glamorous seating doesn’t need to be outrageously wild, bold or audacious. Instead it can be simply styled and still infuse a room with elegance. This design imparts a sense of age-defiance and comfort. It brilliantly infuses neutral tones to create a space that is modern, but with an element of tradition, and timeless grace. Think fawn toned walls, large floral bouquet, and velvet covered sofa with matching armchair. When we think of seating we often think sofas, couches, daybeds, and chaise longue style chairs, but this chair is different. The hallway or corridor console seat is a great way to provide visitors a place to rest and relax while waiting, or simply infuse a sense of comfort into your home. In this example we see a fabulously glamorous seat upholstered in a sage green tone. This is matched with the lampshade, and coordinated to the neutral ecru hued walls. In addition, and to provide extra luxury, modern art is seen hung upon the walls, evoking a rich and majestic aesthetic. Mid-century furniture is one of the most important and popular styles in today’s interior designs. This example from Holland and Green is a fabulous illustration of classic pieces matched with retro accessories, and heritage deco accoutrements. The chandelier is perfectly juxtaposed against the modernity of the bright blue sofa, and the twin leather armchairs impart a rich sense of refinement and intrigue. 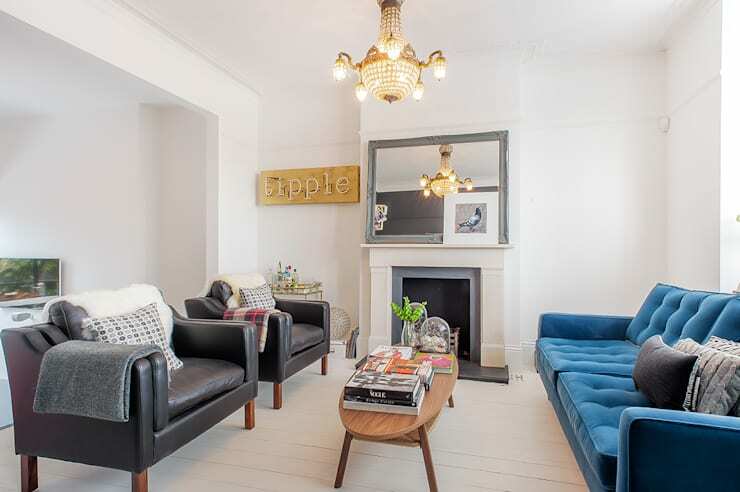 White floorboards add elegance and contemporary vibes that work wonderfully in conjunction with the seating and furniture within this space. Which of these is your favourite? Let us know in the comments below.